EDGE MC1400: THE NEWEST ADDITION TO THE GREENROCK PORTFOLIO! Greenrock Equipment > Blog > Uncategorized > EDGE MC1400: THE NEWEST ADDITION TO THE GREENROCK PORTFOLIO! 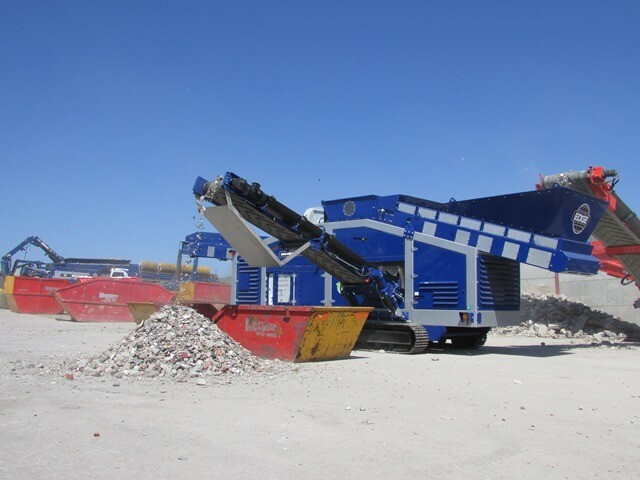 GreenRock Equipment are delighted to welcome the EDGE MC1400 material classifier into our growing product portfolio. We are looking forward to introducing this density separator to the U.S market and believe it will be very beneficial to our customers. EDGE successfully launched the machine earlier this year at Hillhead Exhibition (UK), creating much excitement along the way. The MC1400’s presence at the show gained a lot of interest from all corners of the globe and visitors were amazed by it’s key features and functionality. The MC1400 uses advanced air flow technology to separate impurities from valuable materials. Whilst it is ideal for compost and biomass settings, the flexibility and durability of this density separator allows it to work with a number of different applications including construction & demolition waste. The EDGE MC1400 is fully tracked which allows it to move freely around site. To read more about this machine click here.